In the last few years Cabernet Franc has become one ofthe featured red varietals in Colorado. The grape is consistent year to year, producing high quality wines that show raspberry, strawberry, cassis, plum, bell pepper, tobacco, and spice. Cabernet Franc fares well in Colorado’s altitude, dry climate, and shorter growing season. It historically has enjoyed success in sandy soils, which is prevalent in Colorado, producing a more robust wine. It is early to bud break and early to ripen. This can be challenging in the spring during frosty evenings in late April and early May, but allows for full maturity at harvest in late September. Through DNA testing it has been confirmed that Cabernet Franc has its origins in Bordeaux, where it is used extensively in blending. The aromatics of Cabernet Franc are unmatched, making it a lovely component in red wine blends. Shortly after it was originally planted, cuttings were taken to the Loire Valley where the varietal thrives. A 100% Cabernet Franc wine is more common from the Chinon area of the Loire. The rosés from Chinon are also made from Cabernet Franc. So in that vein, Colorado has used more of a Loire style of utilizing the famed grape as a single varietal wine. Fun Fact: Cabernet Franc and Sauvignon Blanc are the parents of Cabernet Sauvignon. Buckel Family Wine 2017 Cabernet Franc, $24/bottle - Just released after 6 months in bottle. The warmer temperatures are here, and spring is inevitably on it’s way. On the western slope of Colorado the cherries and apricots are starting to bud out, with a litany of fruiting trees and vines to follow. The grape vines have been pruned and are ready for bud break, which typically occurs around April 20th. Last year at this time our landscape looked very different, the land was parched and dry, very dry. The snowpack was at record lows throughout Colorado and the entire west, naturally leading to dusty lands, fewer wildflowers, stressed trees and vines, smaller amounts of water in our rivers, and reservoirs that look empty. In fact, Colorado Reservoirs are going to be starting this spring at their lowest levels since being originally filled, even with the above average snowfall this winter. It was exciting times for the ski towns of Colorado, as we saw historic avalanches running all around us. The above average snowfall will begin to fill the reservoirs, which in turn can be used for farming and growing produce on the Western Slope of Colorado. The Dolores River Basin, which supplies water for Montezuma County, including Cortez, is at 157% of average and is up a staggering 297% from last year. These two regions supply much of Colorado with fruit, such as peaches, apples, plums, and of course grapes for making into wine. This is great news for Colorado and meeting our water needs within the state. Although most water managers believe we will not fill our reservoirs this summer due to the parched earth from previous years, increased water usage, and down stream shortages. How might all this impact grapes within our state? Well thats hard to say. We do know that water is vital for shoot growth, vine health, and optimal leaf conditions. All of these factors ultimately impact the quality of the fruit, which directly relates to the quality of the wine. In the wine world folks often refer to the ‘Goldilocks Condition,’ where the earth is the perfect distance from the sun, allowing for the right water balance on earth to sustain all life… plant and animal. 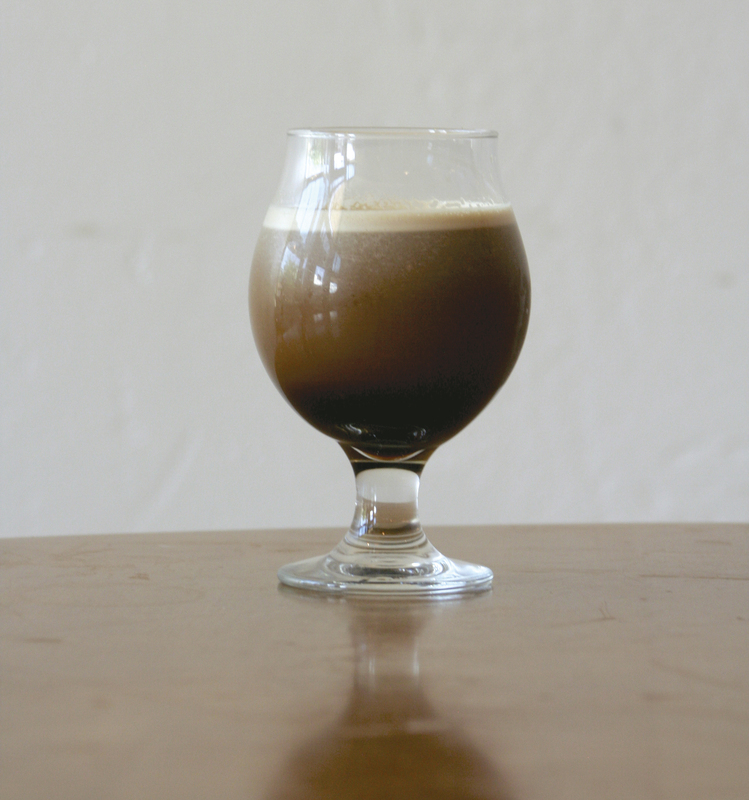 The Nitro Cold Brew Coffee craze is literally found in every Colorado town, much like cannabis dispensaries. The very best cup of nitro cold brew can be found in the southwest corner of the state. Not in the hip towns of Durango and Telluride, but in the drive through farm town of Cortez. This quintessential four corners town rests on the edge of Colorado, with Utah, New Mexico and Arizona all within an hours drive. Right smack in the middle of this town is The Pie Marker, a local favorite with amazing bagels, hand pies, cookies, cupcakes, and pecan pie. They also happen to serve up a cold brew that tops any I have tried in presentation and taste. Next time you head to the southwest corner of the state for a spin at Phil’s World and a lap on the Rib Cage, stop in for a Nitro Coffee @ The Pie Marker! Let the burger patties rest, bringing the meat up to room temperature. Turn down grill to medium and place the burgers on the grill, cook to medium-rare about 4 minutes per side. Butter the buns on both sides or skip the buns for a more ketogenic experience. For the last minute toast the buns on the grill. Add the cheese just before pulling the burgers off of the grill. Doll up the burger and ENJOY!